What is a 600 Credit Score? From getting a new cell phone provider to purchasing a house, so many of the things we do can be impacted by our credit score. If you’ve recently found out you have a 600 credit score, this article will help you understand whether that’s a good or bad score, how it’s calculated, how to improve it, and more. Is a 600 credit score good? Before we dive into whether or not a 600 credit score is good, it’s important to note that there are two main scoring models: the FICO score model and the VantageScore. Because the FICO is the most common, that’s what we’ll use throughout this article. That said, your credit score is essentially a three-digit number that is used to judge your creditworthiness. A 600 credit score is typically considered to be in the Fair range. 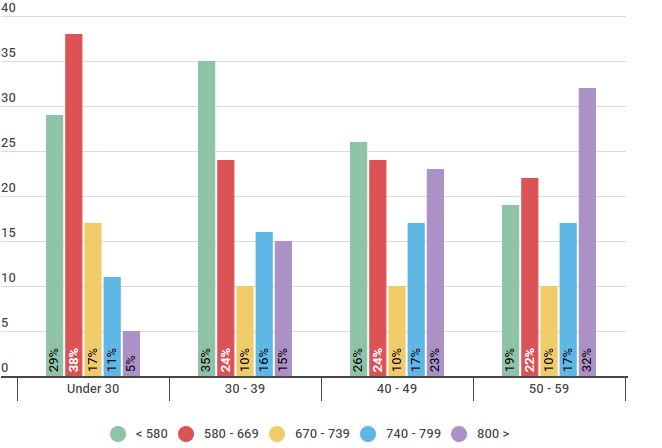 As you can see from the chart below, anything from 580 to 669 is considered Fair — but it’s not the worst category. If your score were to drop below 580, it would be considered Poor. A 600, you’re also only 69 points away from being in the Good credit range. You may also notice that anywhere from 22 to 38 percent of American consumers fall into the same Fair range. Depending on age, anywhere from 33 to 59 percent have what is considered very good or excellent credit score. Similarly, the data below suggests that an overwhelming majority of people under the age of 30 have a score of 669 or below. 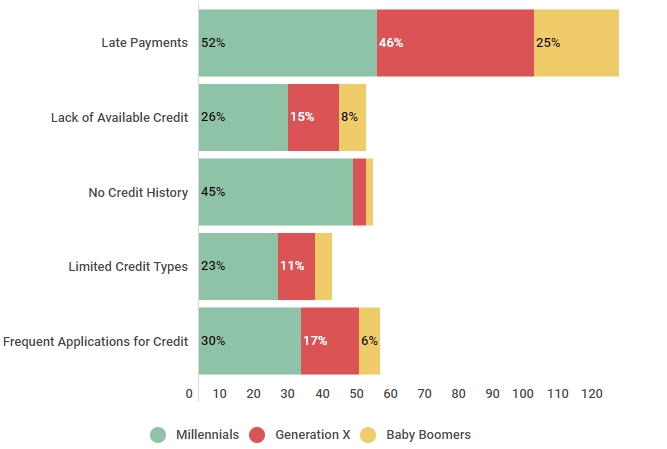 Source: We ran a survey of 550 US consumers in different age groups on 9/26/2018 to understand which credit score ranges they fell into. With that being said, there are two main points here: you’re not alone if your credit score is less than stellar and there’s room for improvement. Keep reading to learn just a few of the ways that you can improve your 600 score. To really be able to make improvements to your 600 credit score, you have to have a basic understanding of the factors —or the formula—that makes up your score. Each factor carries a different level of importance in calculating your credit score, as outlined below. There are a number of ways to affect each of the five major factors that impact your score. Some actions will help improve your 600 credit score immediately, while some actions might take much longer to result in change. The first step in understanding your score and what affects it is to become familiar with each of these credit score factors. Payment History. Quite simply, this is the history of your on-time or past-due payments. The better your payment history, the better your score. Credit Utilization. Your credit utilization can be thought of as the total debt you owe compared to your total credit limit. You should aim to keep this number below 30 percent. Credit Age. Keeping your oldest accounts open shows that you have a good and long history of being creditworthy. Different Types of Credit. Lenders want to see different types of credit on your credit report to demonstrate responsible behavior across different accounts like mortgage or credit card. Number of Inquiries. While checking your credit yourself (a soft inquiry) won’t hurt your score, hard inquiries (such as when you apply for a new credit card) will — so limit the number of new accounts that you apply for. Source: Credit Sesame polled 300 participants between February 10, 2018, and February 17, 2018. 100 participants were Millennials, 100 participants were members of Generation X, and 100 participants were Baby Boomers. Source: Credit Sesame asked 200 Members with a base credit score of 600 who individually utilized the listed methods. The survey was conducted from August 2016 to August 2017. 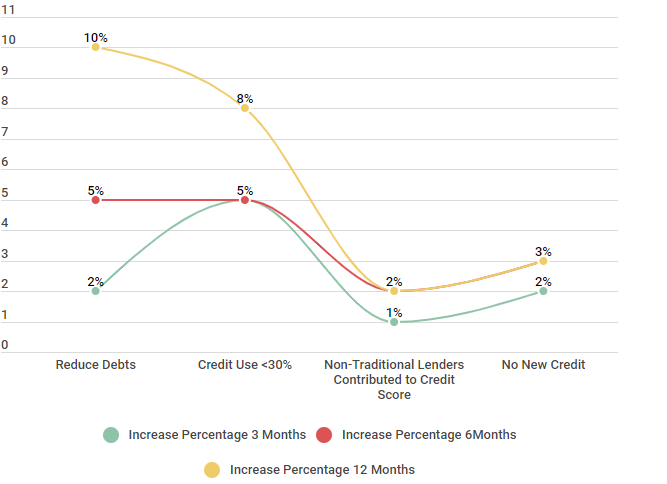 For more strategies on how to improve your credit, you can read one of our most recent articles on credit score improvement. If you’re not ready to start tackling these credit-improving strategies just yet (or maybe you want to know what a 600 credit score can get you), keep reading. What can you expect with a 600 credit score? With a 600 credit score, while you are still considered to have Fair credit, there are plenty of lenders that will extend you credit for a car, house, credit card and more. However, the terms you receive —your interest rate, for example— may not be as favorable as if you had a higher score. 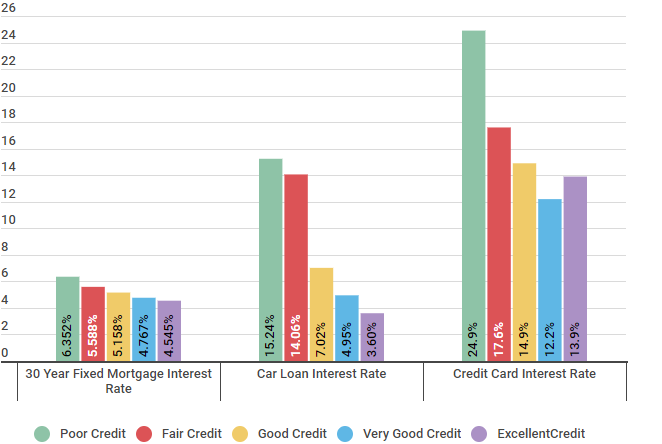 In the breakdown below, you can see the average interest rate that Credit Sesame members received for various loans based on their credit ranking. To understand what you can expect with a 600 credit score, look at the “Fair Credit” column. You’ll see that the average interest rate received was 5.588 percent for a 30-year mortgage loan, while those with Excellent credit received a rate of 4.545 percent. Source: Credit Sesame asked 400 members about their interest rates during a three week period beginning on January 18, 2018. What does this really mean? Let’s look at a real-life example. If you purchase a $150,000 home with an interest rate of 5.588 percent, over the course of 30 years, you’ll have paid roughly $169,594 in interest. However, if you purchase that same $150,000 home with an interest rate of 4.545 percent, you’ll have paid roughly $125,055 in interest over the same 30 years. With this example, it’s clear to see that even the smallest difference in interest rates (and your credit score) can have a huge impact on your financial responsibilities. Keep in mind, one of the first steps you can take to make improvements to your credit score is checking your report for inaccuracies. The chart below shows that there are various types of negative items that can be found on your report —ranging from incorrect information to duplicate accounts. 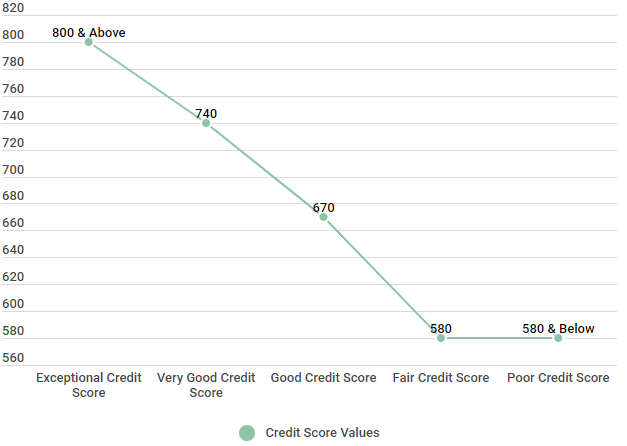 Source: Credit Sesame surveyed 250 people, 50 had a poor credit ranking, 50 participants had a fair credit score, 50 members had a good credit rating, 50 people were listed as very good, and 50 members reported they had an excellent credit score. The study was conducted beginning on October 20, 2017, over a period of two weeks. 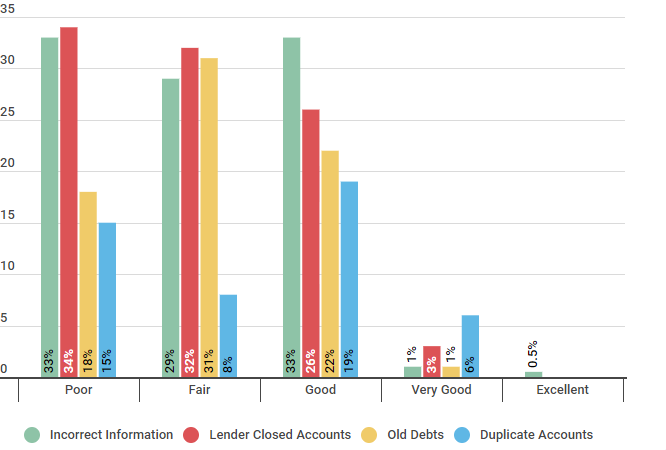 As you can see, for those Credit Sesame members who have a Fair credit score (similar to a 600 credit score), 29 percent reported incorrect information, 32 percent reported lender closed accounts, 31 percent reported old debts, and 8 percent reported duplicate accounts. If you think there is misinformation on your report, you can file a dispute with the credit bureau. From there, it’s all about improving your poor credit habits to see improvements, which we’ve already discussed earlier in this article. The great thing about credit scores is there is always room for improvement —they’re not permanent scores. We recently spoke with Phil, one of our Credit Sesame members, to see the progress he’s made in improving his 600 credit score. We interviewed Phil on May 18, 2018; he earns $44,000 a year, is 28 years old and lives in Plainfield, Ind. He is single and still working to pay off student loans. What did you do to improve your 600 credit score? I’m still in the process of improving my score. I’ve been actively improving my credit by paying down my debt and keeping my credit use down to 10 percent of my available credit. What is your score now? My score is 722. It’s really nice to see the change. How long did it take to improve your score? It’s taken me three years to raise my score to 722, but that’s partly because I was making minimum payments. I got a better paying job last year and can dedicate more of my income to paying down my student loan debt. Phil’s story is a great reminder that it takes time to improve your credit score, but it’s certainly possible with the right strategies and motivations. A 600 credit score is considered to fall in the “Fair” credit score range, which is 580 to 669. Roughly 26 percent of Credit Sesame members also fall into this range. 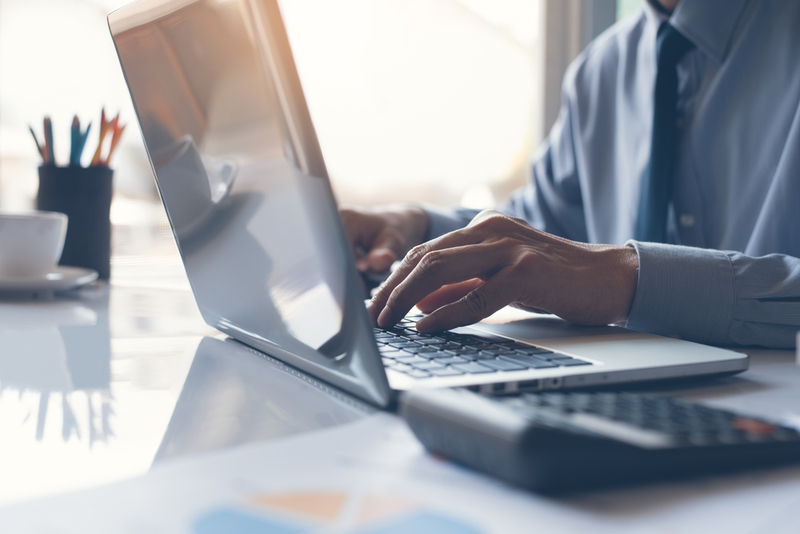 While having a 600 credit score certainly isn’t the best —there are plenty of lenders that will still extend you credit for things like a mortgage or credit card, but those with better credit may receive better interest rates and terms than you.